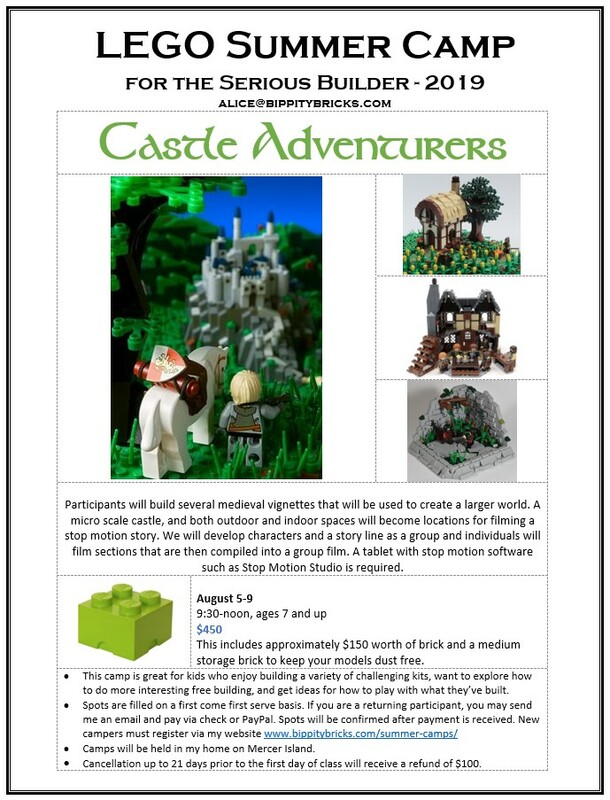 Participants will build several medieval vignettes that will be used to create a larger world. A micro scale castle, and both outdoor and indoor spaces will become locations for filming a stop motion story. We will develop characters and a story line as a group and individuals will film sections that are then compiled into a group film. A tablet with stop motion software such as Stop Motion Studio is required. Create a superhero character and story arc to fight against a social justice issue. 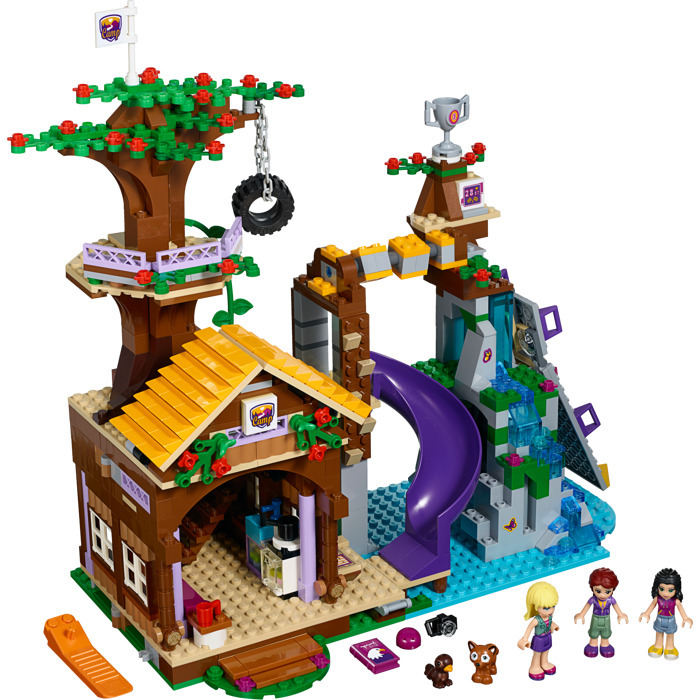 Both outdoor and indoor spaces will become locations for filming a stop motion story. Personalized superheroes may be joined by characters from Marvel or DC worlds. We will develop a story line as a group and individuals will film sections that are then compiled into a group film. A tablet with stop motion software such as Stop Motion Studio is required. Build a fleet of micro-scale ships and landscape vignettes to create a Rogue One game. Participants will build and design their own game that can be played individually and together in one massive space adventure. Learn to build some of the most important features of the galaxy, such as a light saber, astromech, microscale ship, and distinctive galactic locations. In addition to learning strategies for free building, participants will learn the basics for stop motion animation and how to use their models in creating their own brick film. This camp will develop a landscape and scenes based on the general theme of Medieval Fantasy. Participants will learn building techniques throughout the week and then apply them to planning and building their own landscape section and scene that will be part of a larger collaborative project. 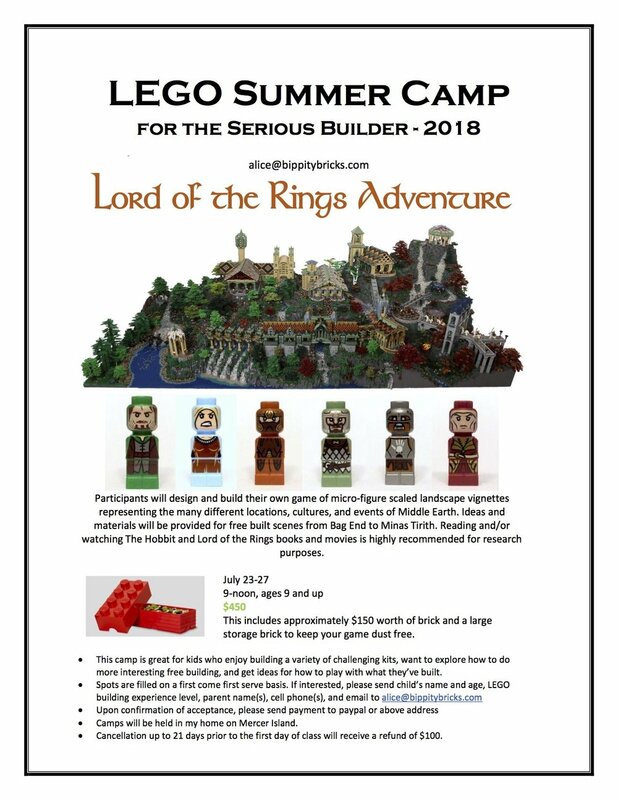 This camp is great for kids who enjoy building a variety of kits, want to explore how to do more interesting free building, and get ideas for how to play with what they’ve built. A class intended for advanced builders interested in learning how to design and build their own modular building. We will look at how real architectural details can be recreated, different styles of architecture appropriate for a modular design, how to build using standards established in the theme, and the importance of planning and interior design to making for a complete design.